The News: Political figures are not known for admitting fault or publicly apologizing when their decisions spark outrage. That’s what makes the actions of Roswell’s mayor Lori Henry rare and unexpected. Henry, who is still in her first year at the helm of the city, made a public apology to residents Friday for her city’s handling of a controversial tennis complex. The Background: At issue was the Big Creek Tennis Center, which was slated to occupy city-owned land at Big Creek Park, a passive park frequented by cyclists and walkers. As soon as the proposed complex was announced, residents organized and planned a protest at the next city council meeting. The organized effort worked, and the tennis center was actually pulled from consideration prior to the meeting. As your mayor, I take great pride in serving the people of Roswell and, along with our City Council, trying to make the best choices for the City and our quality of life, as well as ensuring Roswell’s continued success for future generations who will call our city home. Despite the sincere efforts of myself and council to do our best to keep our residents informed and involved, it is clear we have not lived up to this goal in our handling of the proposed tennis center at Big Creek Park. For that, we apologize. We want to take this opportunity to do better. 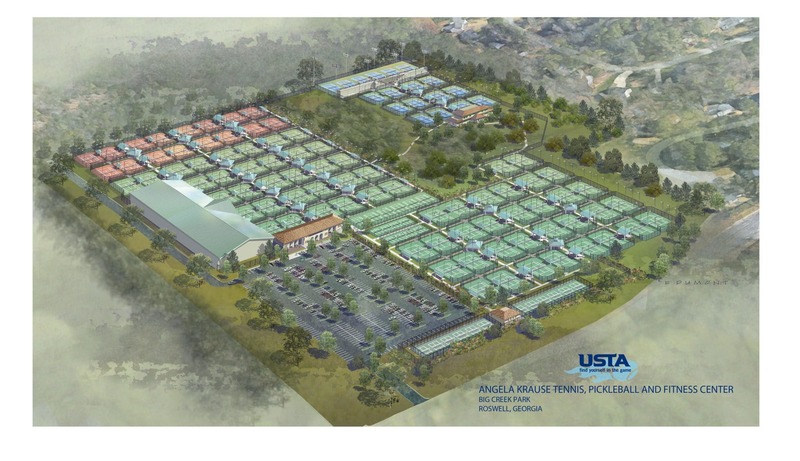 Several months ago, Mr. Vernon Krause and the United States Tennis Association approached us with an extraordinary opportunity: an incredibly generous offer to invest upwards of $50 million in a world-class tennis facility for the east side of Roswell that would be owned and operated by The Krause Family Foundation, with no financial or operational burden to the City. Given our shared desire during last year’s economic development forums to make east Roswell a destination and boost economic development, we considered the proposed facility a rare and exciting opportunity for our city and the region. Although the community’s conversations during those forums focused primarily on how to redevelop and revitalize retail property along Holcomb Bridge Road, this proposed project gave us the opportunity to consider city-owned land to spur revitalization along the corridor. This is where we should have pulled the public into the process. This is where we should have explained the reasons we were considering Big Creek Park for this project. The Big Creek Park original master plan included several facilities, fields and tennis courts in the area where the tennis center was proposed to be located. We thought it would be a good fit, but we should have asked our residents and taxpayers if this was something they wanted in Big Creek Park. It would have been an opportunity to present the information, receive your input and answer questions. We were so excited about the project that we assumed our residents would share that enthusiasm. The Memorandum of Understanding with the Krause Foundation that was to be considered during the August 13 Mayor and Council meeting was a draft to be discussed and amended, marking the starting point for public input and all the necessary studies for a project. We should have explained this better to our residents and we failed to do so. We apologize for that as well. Today marks a new opportunity for the community to work together. The Krause Family still believes our city is an excellent location for the Angela Krause Tennis, Pickle Ball and Fitness Center. Big Creek Park will not be considered. We will schedule public input meetings and we will work together with the community. We thank you and welcome your continued engagement.